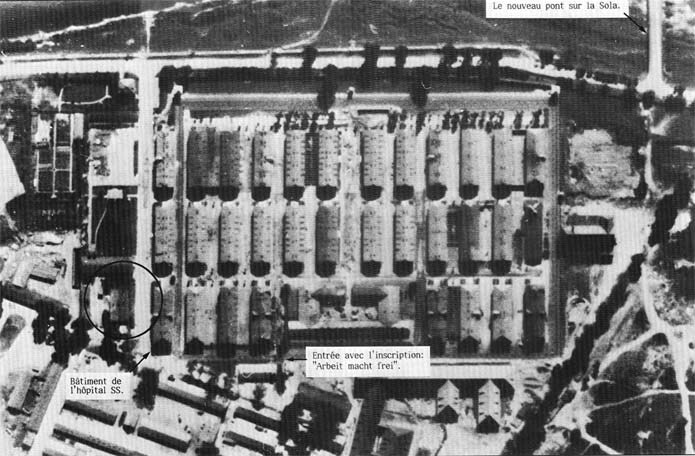 Aerial Photograph of the Auschwitz main camp taken by American aviators on 25th August 1944. In the center of the circle is the “old crematorium” or Krematorium I without its chimney, which has been dismantled. All that can be seen above the furnace room are the two small natural ventilation chimneys. To the side is the building where the SS hospital occupied the first floor.